April 30, 2017 By Liz 19 Comments Note: This post may contain affiliate links. 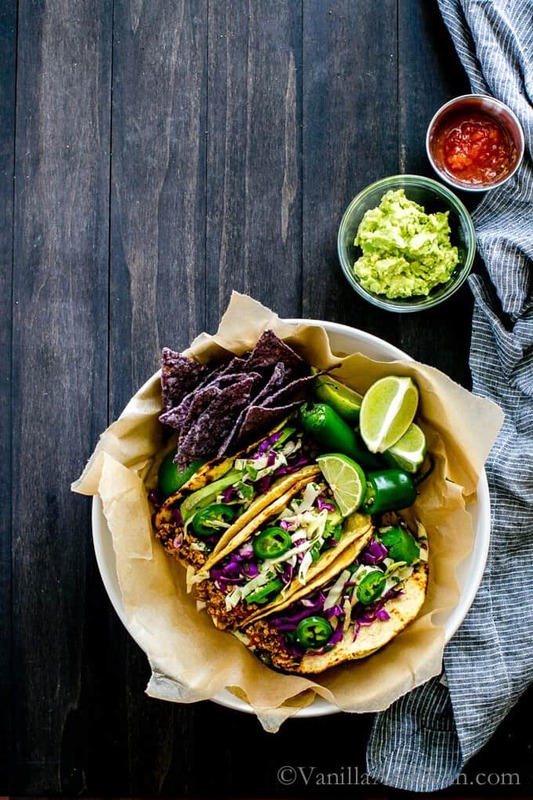 Whether it’s Meatless Monday, Taco Tuesday, or just a regular ol’ night, these tacos are sure to please! All of them are meatless and many of them are vegan and gluten free! I love how tacos are always a crowd pleaser and they’re easy to customize. Give one of these a try! 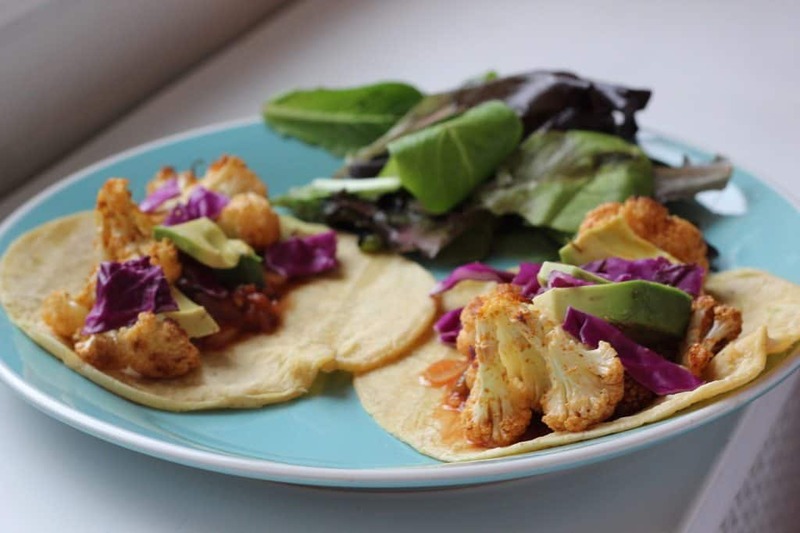 These roasted cauliflower tacos are vegan, gluten free, and just the right amount of spicy. Perfect with some crunchy cabbage and a few slices of avocado on top! 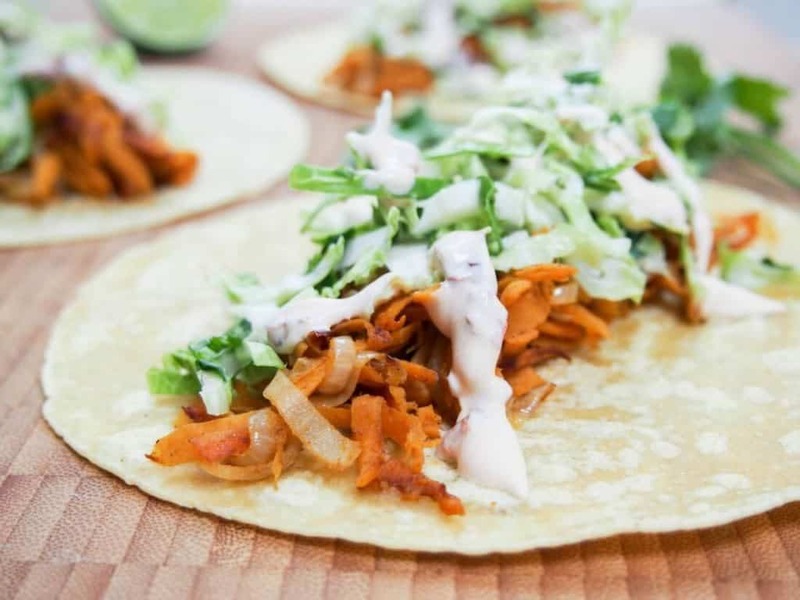 These sweet potato tacos with sprout slaw and chipotle cream from Caroline’s Cooking are a delicious way to use sweet potatoes and Brussels sprouts in taco form! 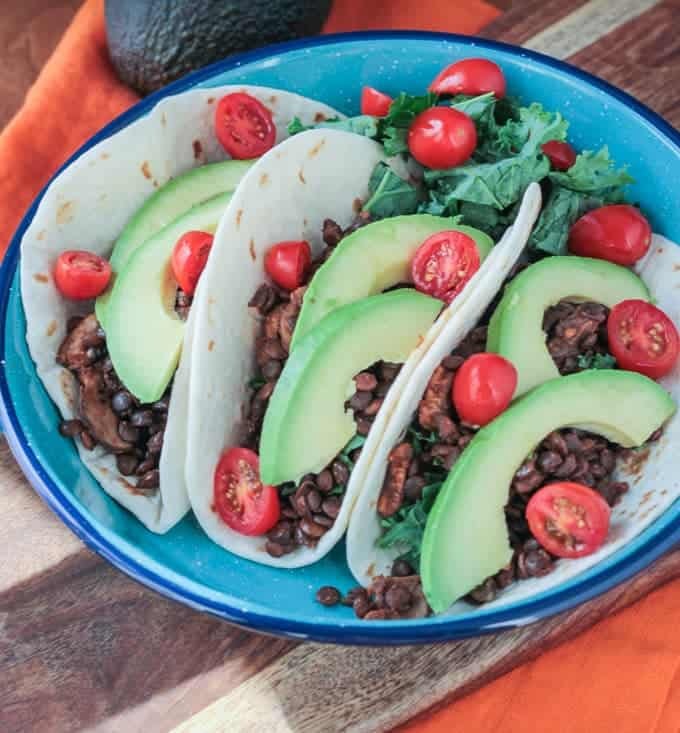 These lentil and mushroom tacos from Veggie Inspired are vegetarian but they’re also packed with protein! Lentils are also a great budget-friendly option if you’re cooking for a crowd! 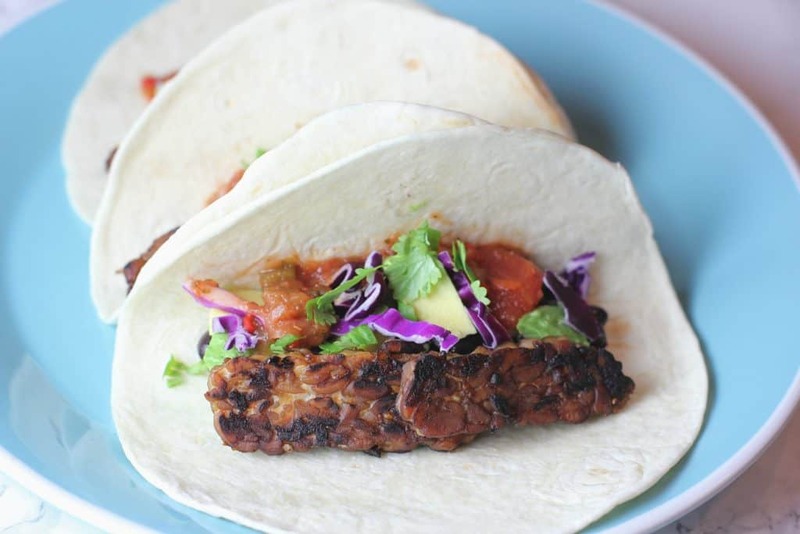 If you’re looking for some extra protein, these vegan tempeh tacos are a favorite of mine! These will keep you satisfied thanks to all the plant based protein! Broccoli in a taco? Why not! 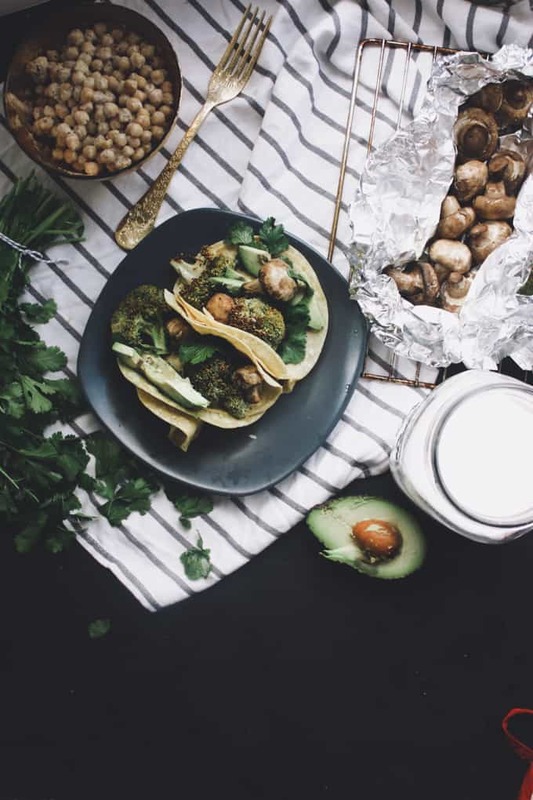 These avocado and broccoli tacos from Brooklyn Munch combine creamy avocado with perfectly roasted vegetables for an unexpected pairing! 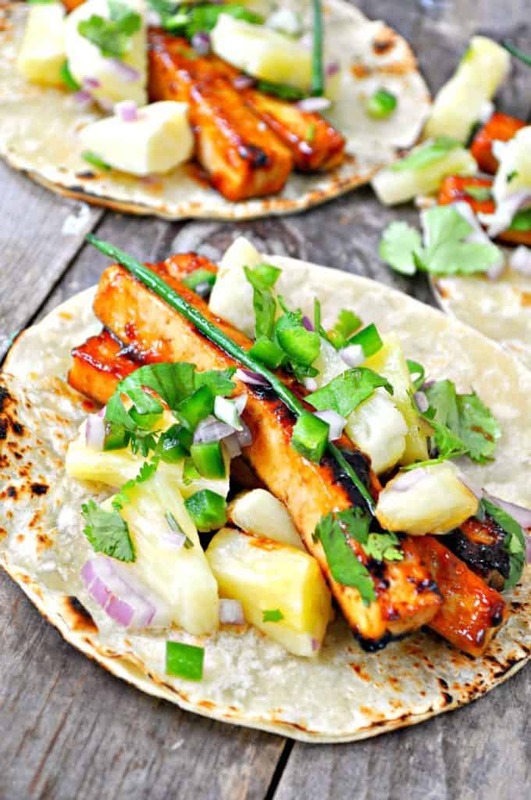 These teriyaki tofu tacos from Rabbit and Wolves are a perfectly spicy option to add to your spread. And the pineapple salsa looks so good I’d probably eat it with a spoon! 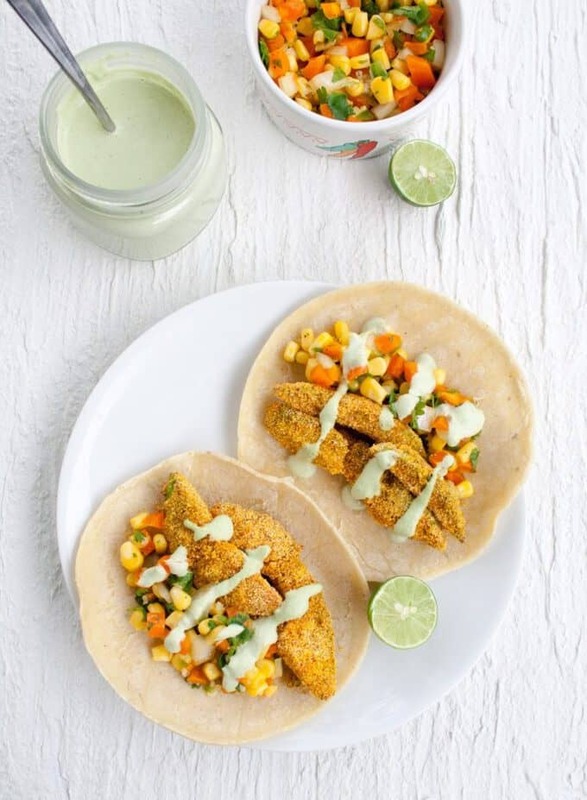 If you’re crazy for avocado, these cornmeal avocado tacos from Create Mindfully are the perfect combination of creamy and crunchy! 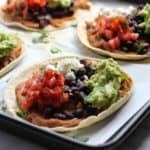 If you’re lazy like me, these black bean tacos have a sneaky short cut that makes them the easiest option ever! 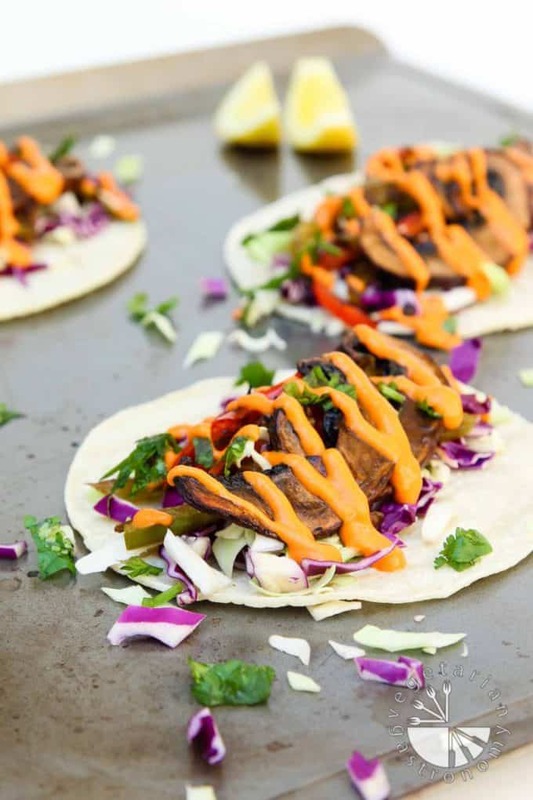 These roasted balsamic portabella tacos from Vegetarian Gastronomy are almost too pretty to eat. But once you get a taste of the red pepper sauce, you’ll be digging right in! Even if you’re unsure about tofu, you’ll definitely love these tofu tacos from Vanilla and Bean. Tofu takes on flavor really well so these are seasoned to perfection! 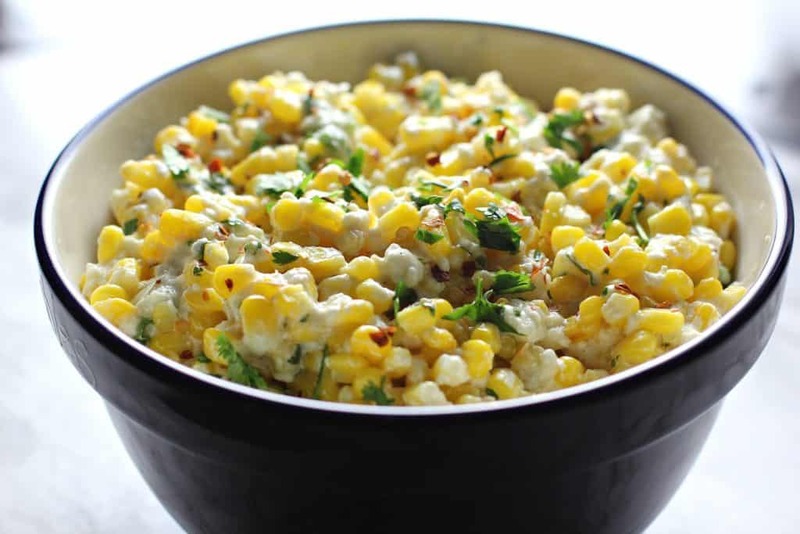 BONUS: Technically, this isn’t a taco idea but if you need something to serve alongside all these tacos, try this Mexican Sreet Corn salad. It’s the perfect pairing with any of your tacos! OHH MY gosh, these all look amazing. I legit want all of them. You have a great eye ~ I love all of these! I usually go for fish tacos, but it’s nice to have so many more options for going meatless ~ thanks! Pretty sure he will eat any vegetarian taco if there is avocado on it! Wow there are so many vegetarian ideas here; I love tacos. They’re probably one of my favorite foods ever. 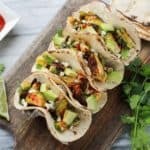 You have me absolutely drooling here over these tacos – a certified taco lover (specifically vegetable ones) these are all calling my name! All the flavor combos sound amazing, the tempeh one is particularly intriguing and I can’t wait to test them all out! Wow such a great collection! With all the yummy ingredients you’ll definitely will not miss any meat! These look very tempting – but to be clear – you could put anything on a tortilla and I’m pretty sure it would be amazing! Hahaha I agree! I’m not picky when it comes to tacos! im eyeing that avocado one….such a delish roundup. I’ve been wanting to try cauliflower tacos for ever now! I really need to get on that. Tacos are seriously one of my favorite foods. I could eat tacos all day long! They’re so good! I love how cauliflower takes on other flavors so well! Give me all the tacos!! Every day should be taco day. Love all of these flavorful options. Thanks for including my Lentil Mushroom Tacos!! Wow! Vegetarian tacos are probably my favorite food of life! 😀 Thanks for this delicious round up! 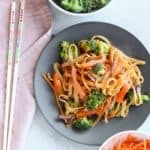 These all look so good, and I love that many are vegan! 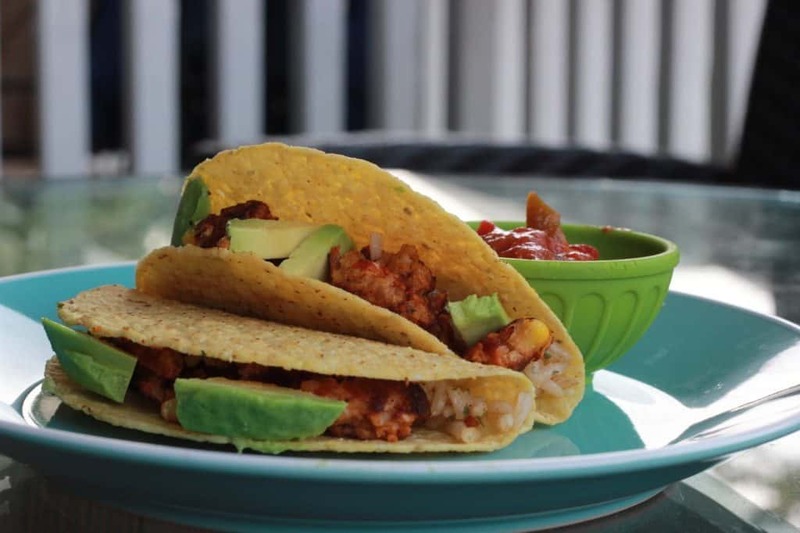 Thanks for sharing my Cornmeal Baked Avocado Tacos! Sharing on social media now! Thank you so mmuch for including my recipe in the roundup! 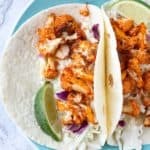 i can have tacos every week, so definitely including some of these in my rotation! wow, such a great collection of Taco recipe. Give me all of those.These looks amazing.